Earlier this year, my friend E asked us (G, H and M) for help with her wedding in planning her tea reception that she was going to hold immediately after her wedding ceremony. She wanted to keep her dinner reception intimate and therefore wanted to still do something special for everyone who was attending her wedding. So she wanted to extend her theme that she had for her bridal shower to her wedding and wanted to make her guests feel like as if they were at an afternoon tea party in the garden. 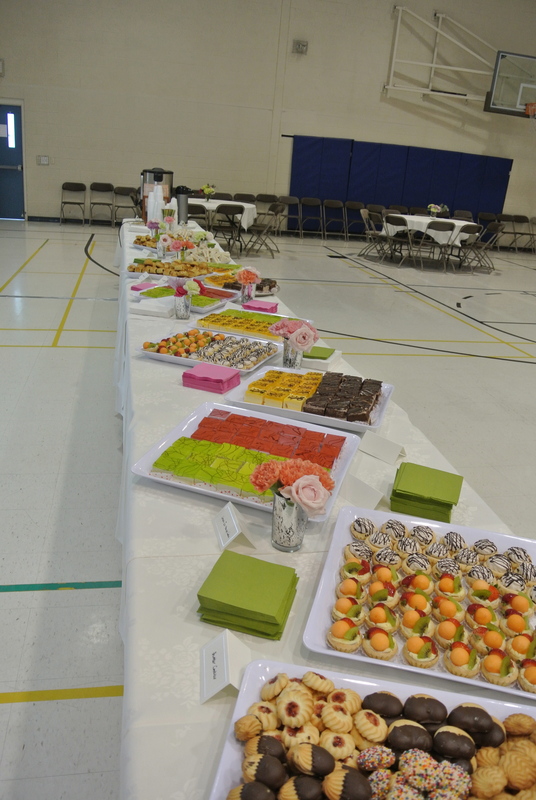 She was holding her wedding ceremony at her church and therefore for convenience used the attached indoor gym as her venue. 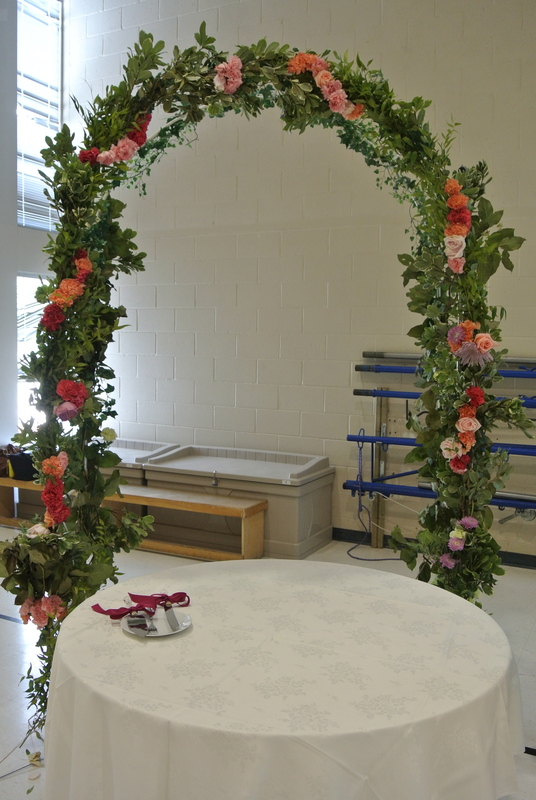 With a little creativity, we converted the gym to resemble an outdoor garden with great floral arrangements provided by her florists, twinkling lights and a garden arch covered with beautiful flowers. 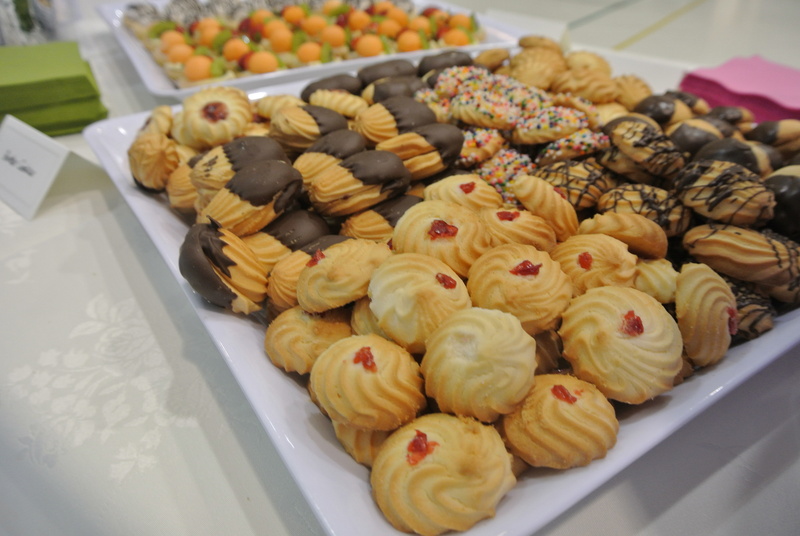 The food was catered but placed and arranged by us. Considering that we’ve never done this before, it turned out great! 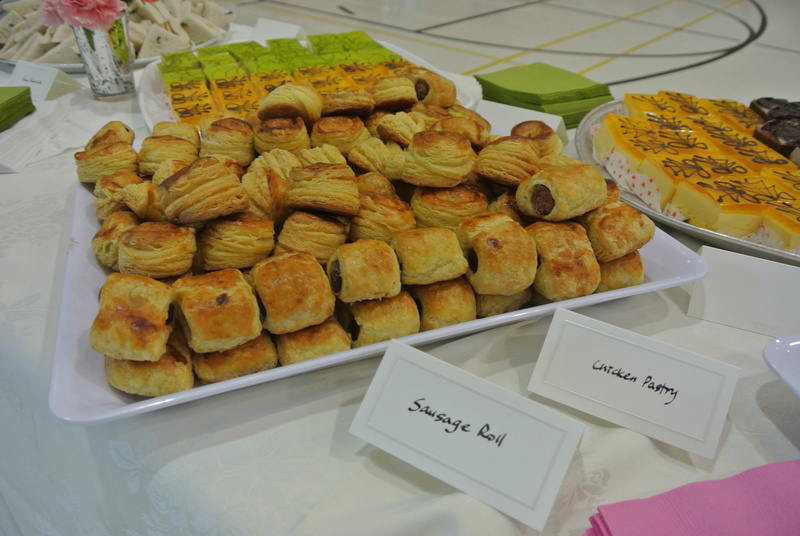 The food table at the after wedding tea reception. 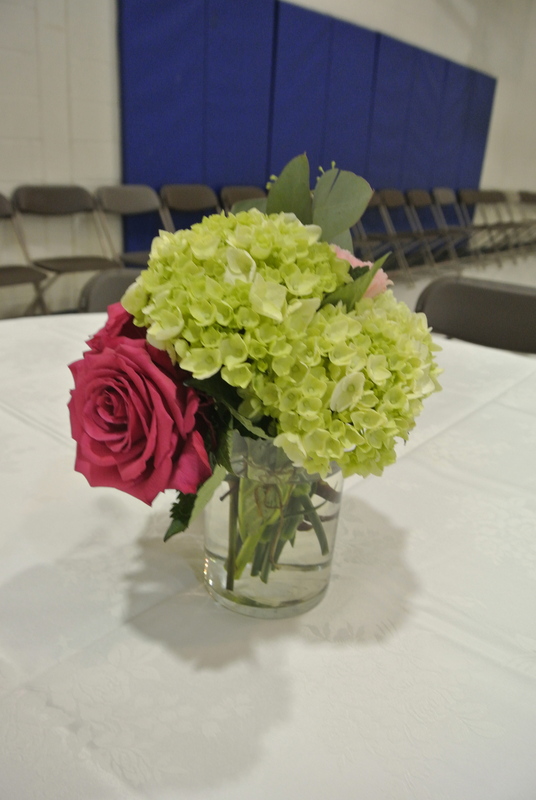 The centrepieces for the seating tables that were set up around the gym. 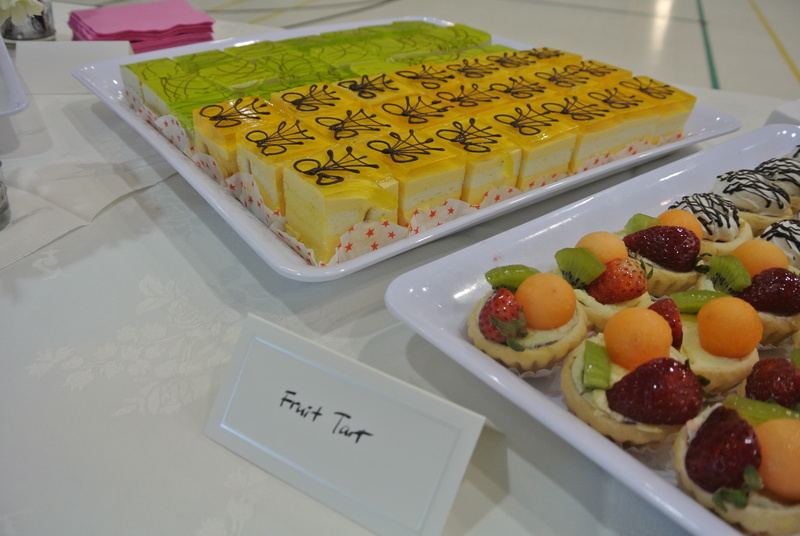 Fruit tarts and mousse desserts – catered by Red House. Garden arch decorated by the florist which was the backdrop for the cake cutting portion of the reception.